Do you have a special publishing problem or situation that isn't covered by the information here? If so, please call or send an e-mail. We are here to help! No question is too trivial. The power of self-awareness cannot be effective and appropriated if you are only 99% aware. Though it accrues in small doses with time, but must be at 100% to be potent to affect change that is life changing. Everyone has the power to acquire it…no one is totally born with it…the more life challenges and obstacle you encounter and overcome, the more self-aware you become. When you have successfully acquired the power of I AM, you will become stronger and the more your belief system and narrative changes from “I can’t do this” to I got this, no big deal”; and then you can go through anything and overcome and live your best life ever…This is the “I AM…The Power of Self-Awareness” that has been addressed in this book. "Teen Aiden Baskin moves to a new city in Florida to help his grandfather not feel alone after the death of his grandmother. In this new city he transfers to a new school where he meets a group of friends who show him a new meaning to a good life and to expect the unexpected." Destiny Dureke is a very intelligent, wise, smart, beautiful, compassionate and creative 14 year old high schooler from Maryland. She was first published in a Collective Empowerment Short Stories book by WETATians titled: “Girls Should Stop Being Mean to Each Other” when she was 11 years old. 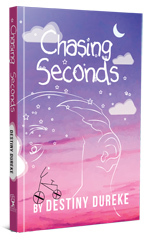 CHASING SECONDS is the FIRST book she has written as a single author. WELCOME TO THE JAHS PUBLISHING GROUP! JAHS Publishing is a full-service publishing house serving the needs of first-time and previously-published authors, entrepreneurs and others that may need to adhere to a tight budget. We make it our business to help others achieve their publishing goals or start their own businesses! Let us help you get your ideas published! Have you been dreaming about writing that special book? Have you been jotting down poems that you want to get published but don't quite know how? JAHS Publishing can help! For your convenience, you may order most JAHS publications from Amazon, and others right here online! You may also order by mail using check or money order. Please call 301-864-2800 for shipping details before sending your mail payment. Be sure to visit Margarets Sisters Living On Purpose blog! We will work with you to arrange a publishing, consulting, or coaching package that meets your requirements without wiping out your budget. Call today! 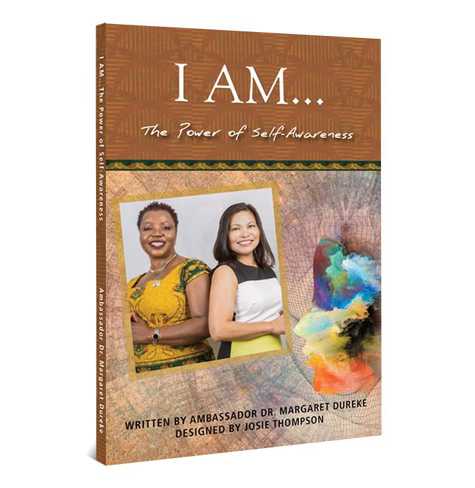 Margaret Dureke's personal success stories and strong belief and faith will inspire you to succeed at anything you want in life, no matter what kind of obstacles or adversities you are facing! And be sure to ask about scheduling Margaret for your next event.